Let the beauty of Mexico motivate your team with over 4,600 square feet of spectacular meeting space at our luxurious beachfront resort in Cabo San Lucas. Incredible dining, a spa and dramatic ocean views, The Ridge at Playa Grande is the perfect destination for teambuilding trips, relaxing executive retreats and stimulating conferences. 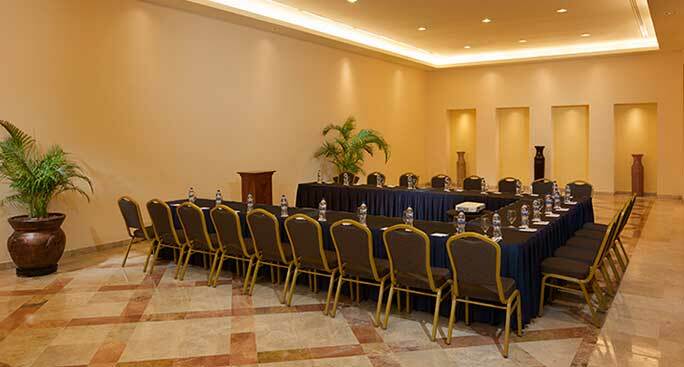 Our beachfront resort provides four unique indoor meeting venues and a spacious auditorium, all styled with a unique colonial design and authentic Mexican decor. 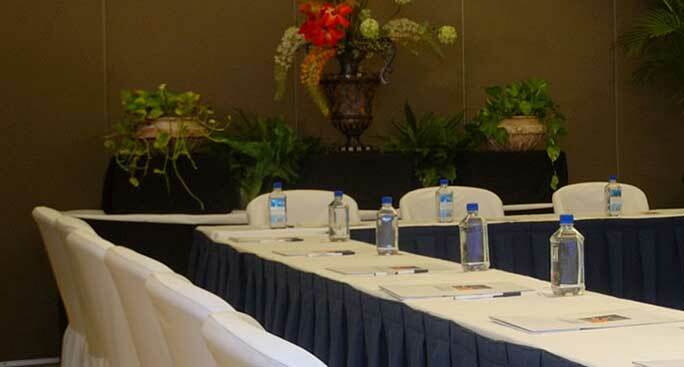 State-of-the-art technology, full-service catering, and an expert planning team ensures a winning event. 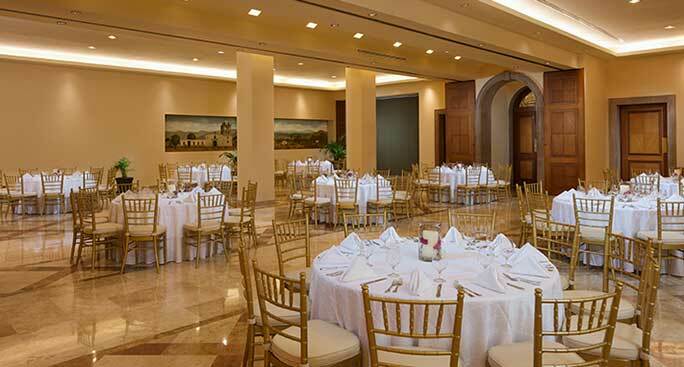 With an scenic location on the tip of the Baja Peninsula, Flexible meeting venues, our Land's End resort is captivating destination where its easy to meet, connect and celabrate. 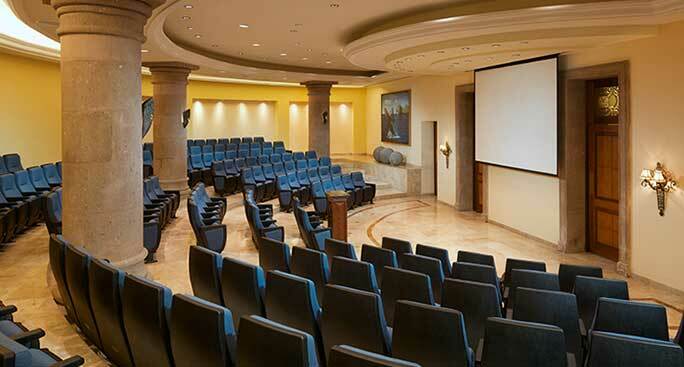 For intimate gatherings, our 1636 square foot Salon Nuestra Señora De Loreto offers an elegant Colonial design, audiovisual gear, and coffee break service, and can accommodate 80 people in theater set-up. With a distinctive Colonia design, our Salon San Francisco Javier is the perfect venue for corporate events, conferences and gatherings for up to 80 people. 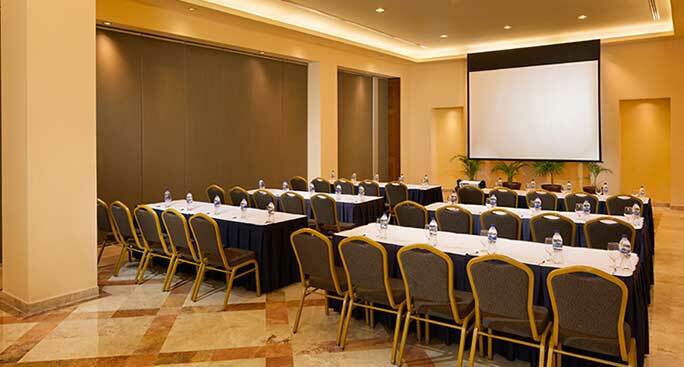 This 1550 square foot space features adjustable lighting, Wi-Fi, audiovisual equipment and coffee break service.